Why should I have an armchair in the bedroom? functional tables happily welcome your nighttime necessities, such as books, tissues and your rustic shabby chic table lamps. You may place them anywhere in the room. However, bedside tables are most useful next to your bed as you can drop your book on them while your eyes are closing of tiredness. Don't let that important piece of furniture be a loveless, random table. Opt for vintage bedside tables that do justice to their importance and enhance your bedroom furniture design. In the 19th century, the bedside table was known as "nightstand" and its primary function was to contain the chamber pot. Its design was simple, usually closed. Nowadays, there are all sorts of bedside tables, ranging from closed cabinets and shelved cupboards, to actual tables. Which kind you opt for, ultimately depends on your requirements. If you have a large amount of nighttime necessities, you may be in need of a closed cabinet, in which you can store all items. If you have various elements that can be confidently displayed, such as stylish pots and figures, you may choose a shelved cupboard. If all you need by your side is a bedside lamp and your favourite book, why not go for one of the classic tabletop bedside tables. Bedside tables can easily become the eye-catcher among your bedroom furniture. 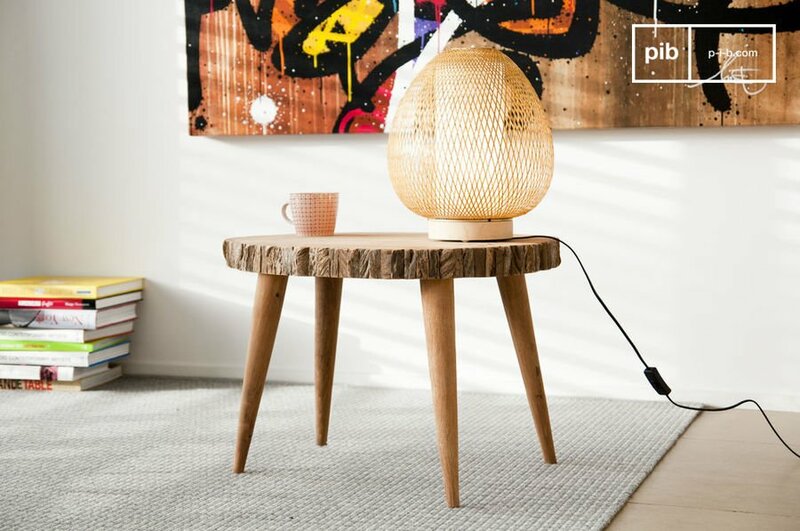 If you opt for a stylish table, regardless of whether it is a simpler piece or an extravagant, unique kind, you may find your bedside tables attracting all the attention. You should consider that there are different styles to choose from when you are thinking about your bedside tables. 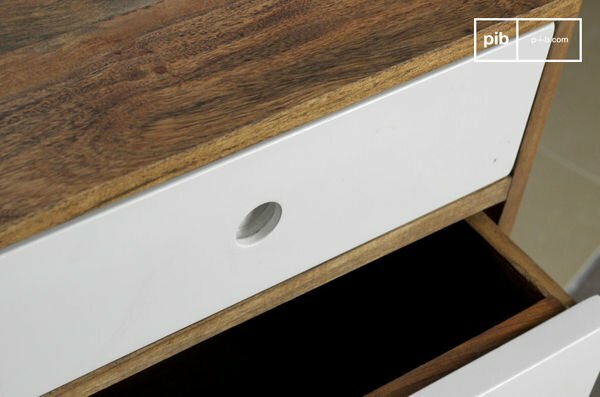 In the mass of interior styles that are available today, PIB offers industrial, Scandinavian and Boho shabby chic furniture, including bedside tables. Although it may be perfectly obvious that bedside tables are chosen accordingly to the interior design of the bedroom, let us inspire you to mix-and-match! For instance, you can integrate solid wood Scandinavian modern bedside tables into a shabby chic designed bedroom. There are so many things to consider! 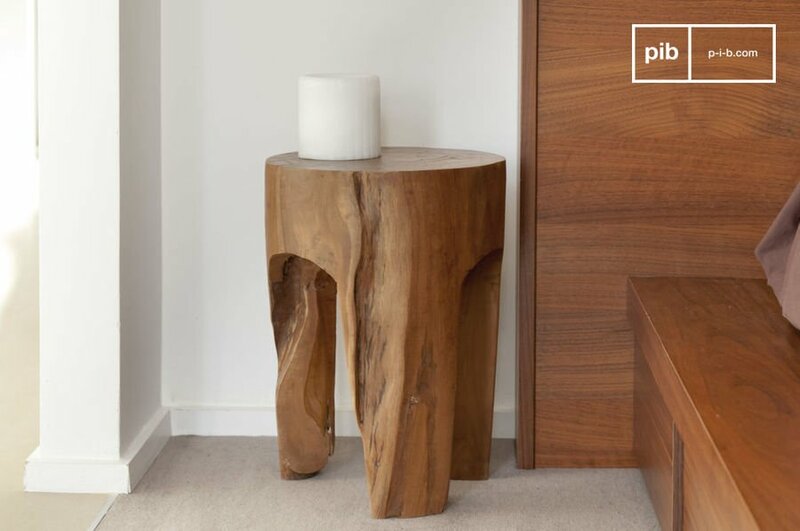 But let's take a look at some characteristics that should be thought over before purchasing bedside tables. Aspects such as; the height, if you want matching tables, storage, and of course the right aesthetics, are all important elements that you may regret not thinking about when you first purchased your bedside tables . To match or not to match? This most likely not everyone?s question but is a design idea that may complement a bedroom with an eclectic style. 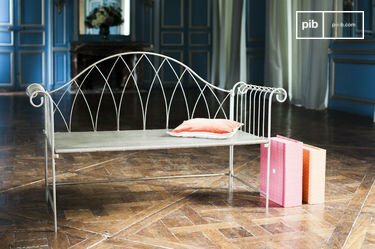 In some cases there may be too much space on one side of your bed that may look or feel awkward all empty, and you may prefer something wider to cover the space. Well don?t think twice of using another piece of furniture as a bedside table, remember there are no rules to design, just suggestions that can be ignored to great effect and end up with great results. In this case feel welcomed to consider using a chest of drawers. This would also provide more storage space and a larger surface for decorative accessories. However keep in mind that height may still be an issue in this case and you should consider the height of your headboard or bed, so that the chest of drawers is not too tall. Starting with height, you should consider how high your bed sits so that the bedside tables don?t look as if they are being towered over by your mattress, or in some cases the bed may be too low and you may want to consider something that will not hit you in the head while you're rolling out of bed. For an easy approach that is sure to give off a unison appearance, try looking for bedside table that have the same height as your bed. In all cases make sure you find something that will allow you to reach over and turn of the lamp before bed without having to get out of it. To match or not to match? This most likely not everyone?s question but is a design idea that may complement a bedroom with an eclectic style. In some cases there may be too much space on one side of your bed that may look or feel awkward all empty, and you may prefer something wider to cover the space. 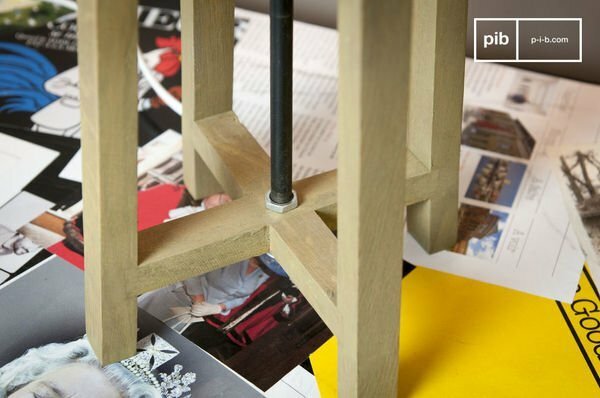 Well don?t think twice of using another piece of furniture as a bedside table, remember there are no rules to design, just suggestions that can be ignored to great effect and end up with great results. In this case feel welcomed to consider using a chest of drawers. This would also provide more storage space and a larger surface for decorative accessories. However keep in mind that height may still be an issue in this case and you should consider the height of your headboard or bed, so that the chest of drawers is not too tall. Typically there is not much storage space in bedside tables and can be forgotten all together. However if you happen to be someone who keeps various items next to your bed, like a book or some magazines amongst all the miscellaneous items that would probably be best placed elsewhere, then storage may be something to consider. 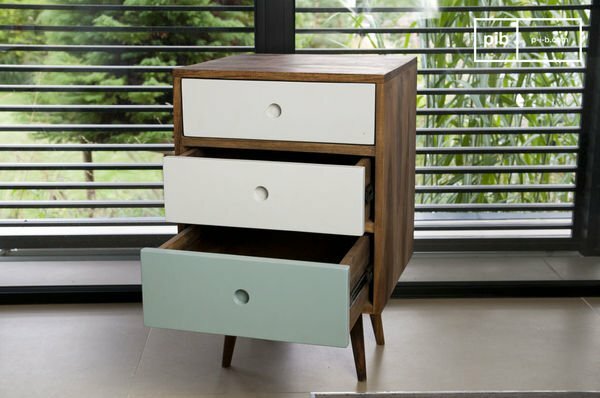 As mentioned before you will not be wanted by the fashion police for trying something new, so go ahead and use a chest of drawers if you have the space. Although this is great for storage, keep in mind that there should be enough space between the chest of drawers and the wall in order to avoid having a cluttered space . Maybe storage is not something you really care about or need when it comes to your bedside tables, and you are just looking for something with a quaint drawer or two with enough table space to decorate. In this case you are probably more preoccupied by what is going to be on top of your bedside tables. Surely one of those items, if not the only, will be a table lamp. 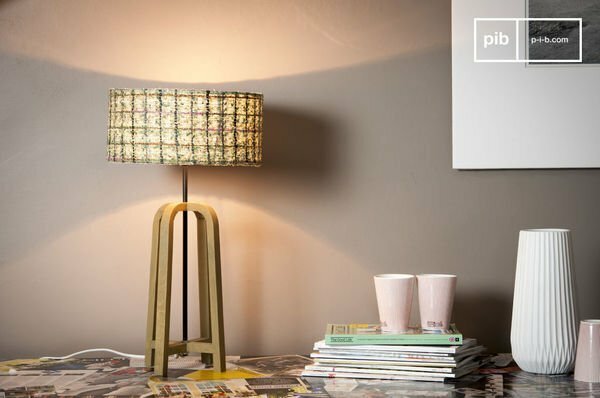 If you're looking for something with a more diffused light that is welcoming and used for the purpose of creating an ambiance and not reading before bed, then it would highly suggested you consider Scandinavian modern table lamps. 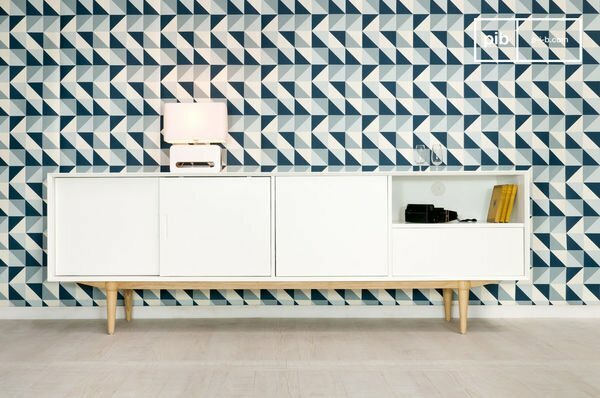 With their beautiful and original shades that shine a dimmed warm light, or even a patterned light that is reflected across the walls, these lamps will add a touch of Nordic romance to your room. Although you already may have a lamp in mind, make sure to take measurements of your bedside table so that you still have some space on the table after the lamp finds its place. If you would rather have something else other than a lamp resting on your bedside tables, you may want to consider retro ceiling lights hanging above either side or your bed. This would leave you with enough space to place other accessories that will brighten up your mornings and set a relaxing mood at night, on your bedside tables. Small mirrors on the wall above your bedside tables would make for a great reflection of light from your hanging lamp or table lamp and would give the impression that your room is bigger than it really is. Other accessories such as picture frames, a clock or a vase for fresh flowers are all great accessories that could add the final touch to your bedroom furniture décor. Regardless of which accessories you choose you still have to worry about how you use them together. If you're looking for a unison feel in your bedroom that will complement your Scandinavian homeware, you lay want to consider using matching white vases or shabby chic table lamps that are symmetrically placed on both bedside tables. In your bedroom you obviously need more than a bed and bedside tables. For the storage of your clothing, bedding or other personal items you need bedroom furniture, such as cupboards, chests or a vintage console table. 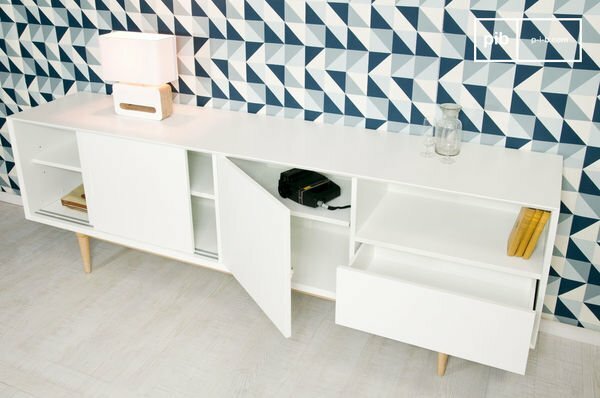 For instance, a sideboard complementary to your bedside tables can keep all those private items out of sight. Furthermore, what would a bedroom be without a reading light? Lighting is crucial bedroom furniture. It creates the right atmosphere for relaxation and rejuvenating, well-deserved sleep. 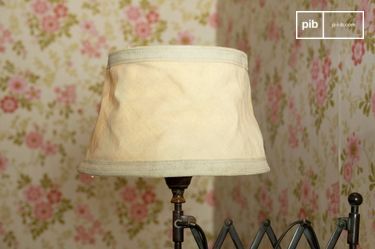 If you haven't already installed a wall lamp above the head of the bed, you may consider a stylish vintage reading light on your vintage tables with a warm and subtle glow. The bedroom furniture decoration pool to choose from is immense. If you are looking for a few splashes of colour on your natural basic bedlinen, add playful cushions on top of your sleeping pillows that will take the breath away of any privileged visitors of your bedroom. For small storage space, consider colourful bowls and pots that give your jewelry, cotton pads or nighttime biscuits a perfect home. Picture frames make you remember beautiful moments with your loved ones or create the foundation for your peaceful dreams of faraway places. To check how the earrings or the hat look on you, hang up a beautiful mirror to complete your wall design. If your bedroom has enough extra space, position a comfortable scandinavian armchair in a cosy corner for nighttime reading. The bedroom is the perfect place for an armchair. Imagine you are exhausted from the day and all you look forward to is an hour of reading in your favourite book followed by relaxing, peaceful sleep. 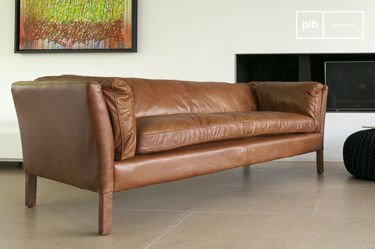 You switch off all the lights in the house, prepare for bed, and now the armchair comes in. Get comfortable on the armchair, put your legs up and immerse yourself in the literature. When you wish to sleep, all you have to do now is slide from the armchair directly into bed, with no obstacles in the way, no lights to switch off, and no doors to close. The best approach to tackling this issue is to think in terms of design. Choosing a very comfortable armchair for nighttime reading in your bedroom is a given. You do not want a hard seat achieving the opposite of relaxation with you shaken up due to discomfort. If you want your armchair to be an eye-catcher, opt for a colour contrasting with the floor or wall behind. This way, your armchair stands out. 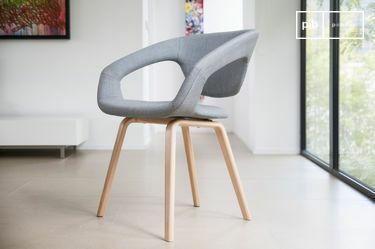 In contrast, if you wish to have a discreet, unobtrusive armchair that does not take the view away from your attention-grabbing decorative accessories or imposing bed, choose colours and shades similar to your walls and floors.